Fill up your belly with scrumptious food of different cuisines—from fresh empanadas, hot sandwiches, to sweet treats and goodies to bring home, there will be many options for the pickiest of eaters. 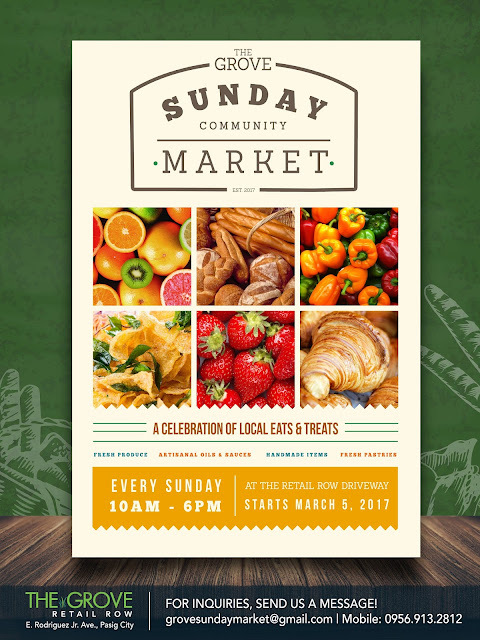 Food highlights also include fresh produce, artisanal oils and sauces, and fresh pastries. Shopaholics won't be left out as retail products like handmade items will also be part of the lineup; pets are most welcome at this outdoor market, too, so bring your furry pals along! 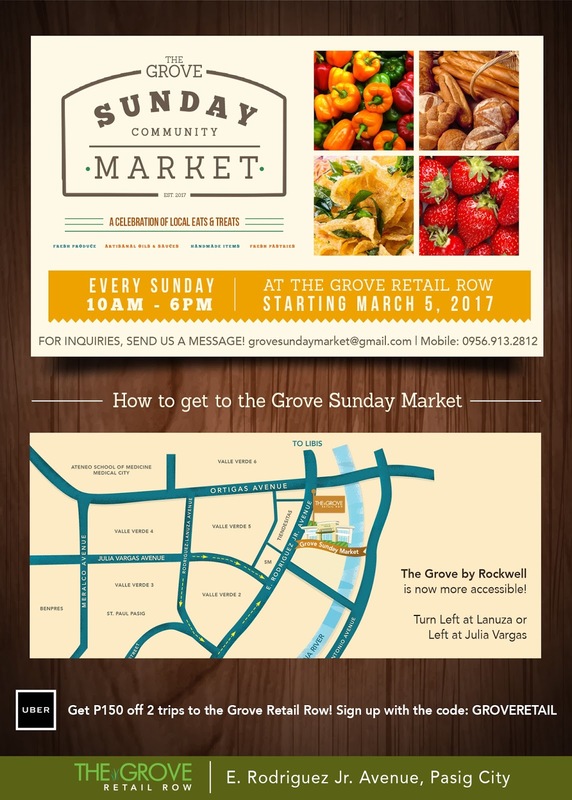 Summer weekends will definitely be more colorful this side of Pasig at The Grove Sunday Community Market! The Grove Sunday Community Market will be held every Sunday beginning March 5, 2017 from 10am to 6pm. The Market will run until May 2017. Basement parking is available at The Grove, including restrooms near the market area for the guests.